To constantly explore new ways to facilitate excellent services while pushing the envelope with the latest technology. Go Edit, Inc. in North Hollywood, California goes through a checklist for every system it delivers to ensure that it arrives at your location in perfect working condition. All of our equipment is tailored to your exact specifications so it arrives ready to operate. WE are always up-to-date with the latest software and technology to ensure maximum compatibility and efficiency. Go Edit, Inc. systems are completely compatible with all types of hardware and software. With more than 20 years of experience in the entertainment industry’s post-production operations, we bring unparalleled technical support. Go Edit, Inc. Provides an innovative new product called Client Monitor, which allows you to log in from any remote location to preview your media. Restricted login information can be forwarded to your personnel for approval of your media content. Also, notes with time codes can be immediately generated and distributed to and from your home base. 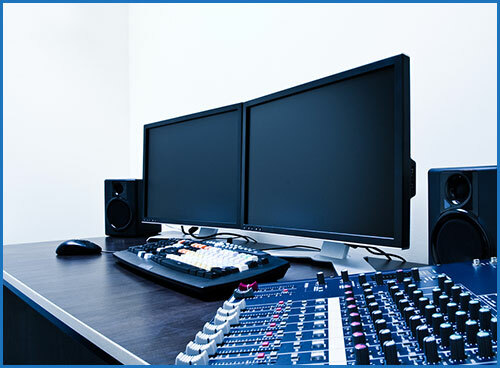 Client Monitor is completely compatible with Avid and Final Cut Pro video editing software programs. We are including Client Monitor as part of our valued service to our series, reality, and commercial clients. Where our competition stops, we continue! We routinely consult with you regarding the quality of your infrastructure to ensure that we are constantly updated on any changes that may affect your productivity. With our on-site classes and tutorials, we ensure that your staff stays in-the-know about any hardware and software updates and upgrades. Our website is regularly being updated with new information on workflows or downloadable manufacture PDF manuals. Along with manufacturers and growing user groups, we have been able to provide and receive valuable information and updates that are all available for free on our website. Go Edit, Inc. has resources to provide you with a turnkey facility containing production offices and editing suites. Our affiliated companies own commercial real estate in Southern California. Whether you are looking for 1,000 square feet or 20,000 square feet, we are able to find you a turnkey operation and make your job easier! Internet, phone, and security-ready office spaces are just some of the features that are available. Let us know where you want to go!